Turkey’s NATO delegation head Ahmet Berat Conkar appeared to link the fate of two Greek soldiers arrested after straying into Turkish territory to that of eight Turkish soldiers who escaped into Greece by helicopter following a July 2016 failed coup attempt. Turkey is asking for the eight to be extradited, but so far Greece, which says it is concerned that they will not receive a fair trial in Turkey, has granted three of the men asylum. 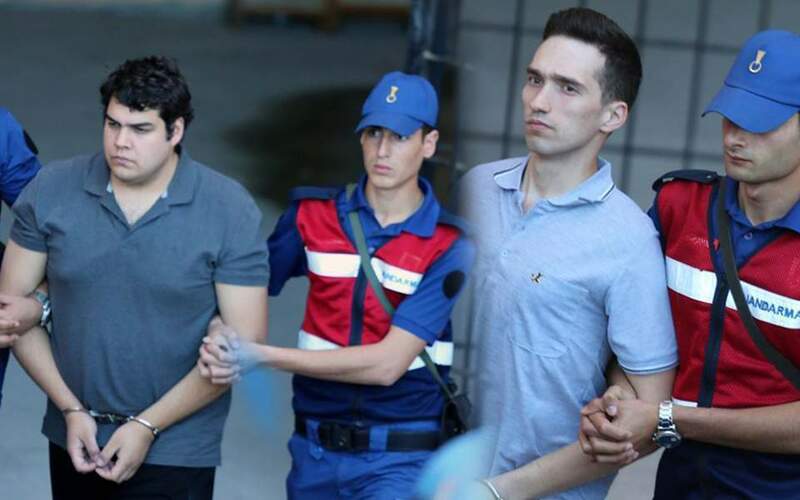 “The Turkish authorities and Turkish society expect the extradition of the eight murderers immediately and we assure you that two Greek soldiers detained will receive a fair trial in Turkey,” Conkar said in a letter written to European Parliament President Antonio Tajani. A letter sent by the head of Turkey’s delegation to NATO’s Parliamentary Assembly, Ahmet Berat Conkar, to European Parliament President Antonio Tajani tacitly links the fate of two Greek soldiers detained in Turkey in early March to that of eight Turkish officers who fled to Greece in the wake of the 2016 botched coup.